Rappel A 30 foot & 60 Foot Waterfall! Join us for on a half day unforgettable exclusive Kauai waterfall rappel tour! After a detailed rappelling and safety lesson make your first rappel, a 25-ft training dry wall. Next a 15-minute walk through a tropical forest abundant with succulent guava, passion fruit, laua’e fern, noni fruit, leading to your ultimate destination… two secluded, private waterfalls! The first 30 foot waterfall is seen through a bamboo forest. 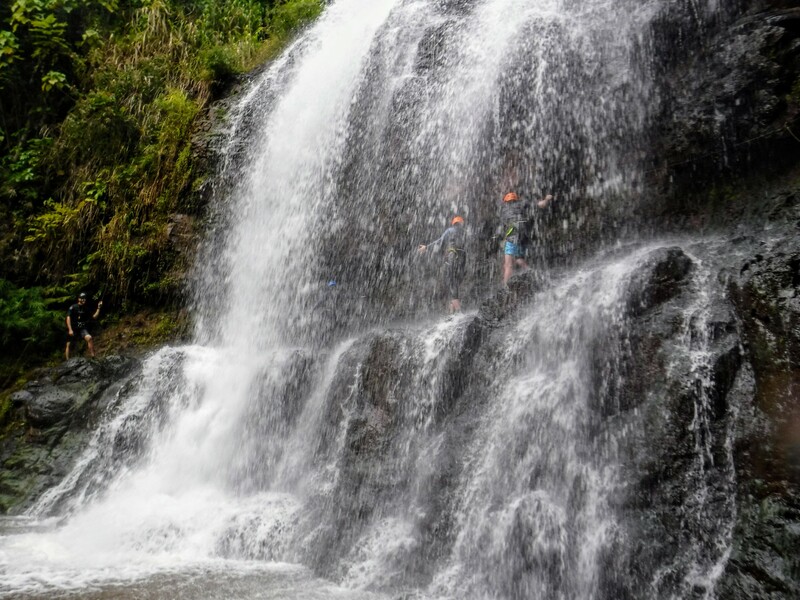 Here you will get your chance to rappel Bamboo Falls. Rappel is optional, but highly recommended. This once in a lifetime experience is a thrilling way to get up close and personal with one of Kauai’s most thrilling natural attractions. Next visit a 60 foot waterfall. This second cascading falls is knows as Papakoela or “Dundee Falls” this is an ideal time to swim, play, and take awesome keepsake photos at this wall of dancing water. After that you will the pack up and head up a private trail. At the top relax with a catered gourmet picnic lunch at a shaded picnic area overlooking the Hule’ia Watershed and Haupu Mountain Range.